Windows 10 Anniversary Update is here and if you’re already running Windows 10, you should upgrade immediately. The free upgrade is not revolutionary by any means, but includes a number of refinements and tweaks, like those to the Start Menu, that enhance many of the standout features that made Windows 10 such a success last year. The popularity of Microsoft Windows 10 has swallowed up the ill-judged Windows 8, although it still lags well behind the trusted and reliable Windows 7. The anniversary Update is the best version of Windows 10 yet and now powers more than 350 million devices across the globe. The anniversary Update is full of new features and innovations and in this article, we will take a look at 6 reasons to upgrade to Windows 10 latest update. Meanwhile, for users running Windows 7 or Windows 8, you should know that Windows 10 is no longer a free upgrade. 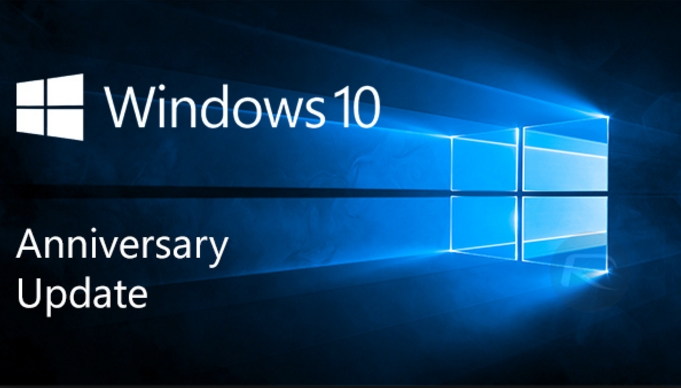 This aniversary upgrade is meant for those who are already running Windows 10 on their PC. With Anniversary Update, Microsoft has doubled-down on the headline features of its latest operating system – adding new features to Cortana, Microsoft Edge and the redesigned Start Menu. And if you have been enjoying Windows 10 for the last year, you’ll be very pleased with the advances made here. Windows Ink is one of the biggest new features in Anniversary Update. It lets you quickly and easily take notes, sketch on a screenshot or draw out an idea. Sticky Notes float around the desktop, letting you quickly scrawl down an aide–mémoire. With Cortana enabled, these should spring to life and become actionable – so if you jot down the date and time of an upcoming phone interview, Cortana will be able to add the reminder to your calendar with a quick tap. However, a touchscreen and a stylus is required to enjoy this feature. If you’re running Windows 10 on a traditional desktop set-up, you won’t notice any of these brilliant new additions. But if you use a convertible two-in-one device, like the Microsoft Surface Pro 4 or a Windows 10 machine with a touchscreen, like the Surface Book, this is an invaluable addition and well worth the upgrade. The Virtual desktop pin lets you pin an open app to all of your virtual desktops—handy if you always want a particular program front-and-center. To activate the new feature, open the Task View used to manage virtual desktops, right-click on the window you want to pin, then select Show this window on all desktops. Microsoft’s Windows 10 anniversary update comes with a dark theme mode which is similar to that found on Apple’s iOS 10 beta software. When enabled, the theme turns the platform’s entire interface dark. The heavy use of black and other dark tones in Microsoft’s dark theme make the UI look incredibly sleek, and it’s also a bit easier on your eyes. Personally, i don’t use Microsoft Edge because it seems too “limited” for my liking. But finally, one year after it first launched, extensions are now baked into Edge. Pinterest Pin It Button, Mouse Gestures, Evernote Web Clipper, Save to Pocket, Reddit Enhancement Suite, Amazon Assistant, and LastPass are amongst those that launched alongside Anniversary Update. That’s a big deal. Anyone who relies on a password manager, wants to use an ad-blocker, or save articles to a third-party read-later client, now has the option of using Microsoft Edge. Something that – for the past year – was not possible. Microsoft has added some other useful tweaks, like the addition of a “Paste and Search” option when you right-click in the address bar, something Chrome users have enjoyed for years. You can now tell Edge to erase your web history every time the app is closed, which is useful. And Microsoft Edge is the only browser that natively supports biometrics – so you can login with a quick scan of your face via Windows Hello – useful if your bank or favourite online service is one of the few that has built-in support for the feature. This will only appeal to developers, this bring Linux’s beloved Bash shell to Windows 10. Like most OS updates, the Windows 10 anniversary update comes with some bugs. Fortunately, some of the common problems have been listed and a ready solution provided. So, if you encounter any issue while updrade, here are the fix. For all windows 10 users, you need not to worry, your system will be automatically updated with the new features. However, if you prefer to manually update, Go to Settings > Updates & Security > Windows Update. In Windows Update simply click Check for Updates. Once the update appear, click on Update and your download will begin.